Our 68-page workbook is printed on heavier bond paper than your typical workbook. 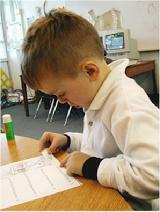 This ensures that little fingers have more success and less frustration while learning to cut. The pages are printed in full color and have been described as "vibrant" by our customers. Upon completing the program, the children will receive an award for their accomplishment. 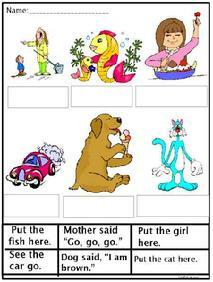 The activity sheets found in our colorful workbooks start off slow and gradually build fluency. These lessons are designed for children who have had no previous success in reading. 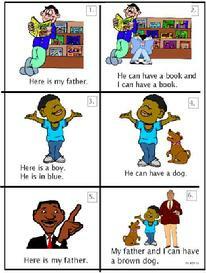 Developed to ensure correct responses and engage your beginning readers. Students will match and paste phrases to pictures or they will make adorable books for that home-school connection. The pages below are typical of the ones found throughout the program. "Your Workbook provides it all...adequate repetition, simplified linguistic demands and high student interest." Barbara Reed- San Joaquin County�s 2001-2002 Teacher of the Year--Colorful, fun activity sheets make learning the sight words a snap! Our 68-page workbook is printed on heavier bond paper than your typical workbook. This ensures that little fingers have more success and less frustration while learning to cut. The pages are printed in full color and have been described as "vibrant" by our customers. Upon completing the program, the children will receive an award for their accomplishments. These lessons are designed for children who have had no previous success in reading. 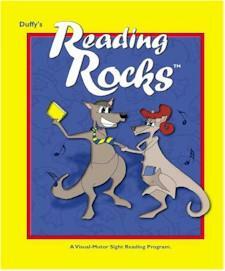 Developed to ensure correct responses and engage your beginning readers. Students will match and paste phrases to pictures or they will make adorable books for that home-school connection. 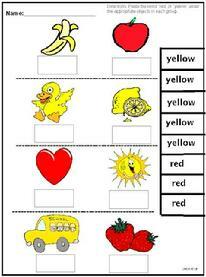 Your printable worksheets are listed below. After completion of each of the following words in the program, print and give to your child for reinforcement of the reading program. Good Luck and have fun! Back by popular demand, Reading Rocks will make available to you these wonderful checklists of Dolch Words. Those of us who have been teaching for, well...forever, recognize these words as the necessary building blocks for children to become successful readers. These should easily download for you. Have fun!